A telling sign that cashback credit cards are popular card types among Singaporeans is from the mere fact that almost every major card company in Singapore has at least one card focused on cashback features. We’re sure you know what are cashback credit cards and how it works, but for the benefit of some who don’t, let’s do a quick lowdown of what a cashback credit card is all about. What is cashback and how do I benefit from it? 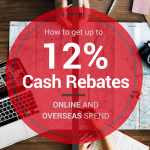 In a nutshell, a cashback reward is when you receive a portion of your money back after you have spent it, usually in the form of a cash rebate in your credit card to offset your next expenditure. 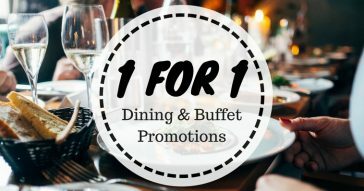 You can look at it as a means of getting a discount, but a discount reward typically applies to one merchant, restaurant or brand. In contrast, a cash back system works with a category of products or services, allowing more flexibility to the spending activities of a cardholder. To put it simply, a consumer may have a 5% discount at Watsons in a discount reward system, but has the flexibility to buy the same items from Watsons, Guardian, or even NTUC with a 5% cashback reward. Before you consider any cashback credit cards, it is essential to know your own spending habits and the focus in this cashback card in addition to the other credit cards you may already have. That is because you want to receive the highest amount of returns with the cashback card you eventually apply for. 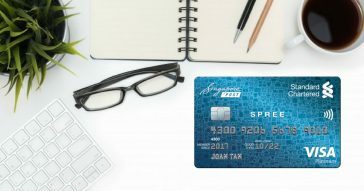 Need a credit card with more perks for dining so that you can consolidate all your F&B expenses? Perhaps you need a card for household related expenses such as petrol, groceries and essential. Or maybe your jet setter lifestyle results is the bulk of your expenses in foreign land and currency. Whatever it may be, contemplate and prioritise what you would like to use your cashback credit card for, and Cardable will help you to highlight the benefits and perks of several cards. Let’s take a look at the cashback credit cards available. 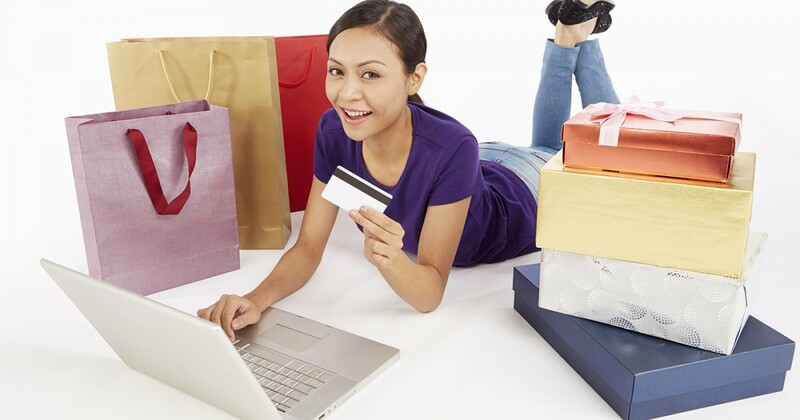 The Standard Chartered Spree Credit Card is good for online shopping, especially if you typically don’t track your expenses. That’s because it doesn’t have a minimum spending you have to hit before you can start earning cashback. This is ideally suitable for the younger crowd who may not have such a large spending power, or groceries to settle each week. The occasional shopping on local and foreign eCommerce sites lets cardholders earn 2%-3% cashback, depending on the currency of the transaction. For supermarket purchases, it’s a decent 2% cashback, and all other retail spend lets you earn 1% cashback. Do note that there is a S$60 limit on the cashback you may earn each month. Standard Chartered also waives the annual fee for the first 2 years so that’s another bonus to apply for this card! 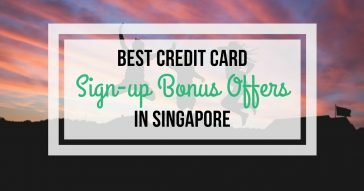 To apply for a Standard Chartered Spree Credit Card, the minimum income requirement is S$30,000 for Singaporeans and Permanent Residents and S$60,000 for non-Singaporeans. With the Standard Chartered Spree Credit Card, you no longer have to worry about tracking your expenses just to meet the minimum spending requirement! If you’re a foodie, perhaps you’ve already heard of the Citi Cash Back Card. 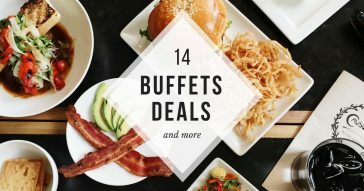 This card allows you to earn 8% cash back on food and drinks worldwide. 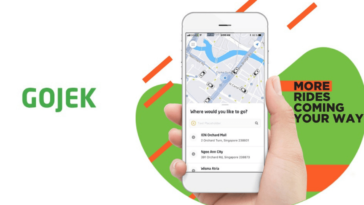 Not just that, the cashback rate is also extended to food delivery with foodpanda, as well as groceries spending at supermarkets worldwide and on RedMart and honestbee. If you drive, you also get up to 20.88% cashback on petrol. If you often pay for meals and weekly groceries, this card is a great candidate to consider. To apply for a Citi Cash Back Card, the minimum income requirement is S$30,000 for Singaporeans and Permanent Residents and S$42,000 for non-Singaporeans. Make your meals better by earning 8% cashback on your dining expenses with the Citi Cash Back Card. The OCBC 365 Card, as the name suggests, is a fantastic card for everyday spending. It offers a myriad of cashback earning with spending from telco bills and groceries to online shopping and dining worldwide. This all-rounded card even covers your entertainment and travel needs, letting you earn cashback when you pay for your movie tickets or your next holiday accommodation online. In our opinion, the OCBC 365 card is a well balanced card that covers many categories of spend. Although the earn rate for all other types of spending is not high (at 0.3% cashback), the higher rates for the specific categories make up for it. 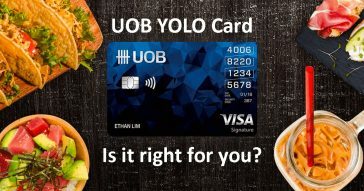 To apply for a OCBC 365 Card, the minimum income requirement is S$30,000 for Singaporeans and Permanent Residents and S$45,000 for non-Singaporeans. Equip yourself with this all-rounded OCBC 365 Card today. The Standard Chartered Unlimited Cashback Credit Card is applauded for its relatively high cashback rate that is unlimited for all spend. With no cap and no minimum spending required, you can earn 1.5% cashback on all your spending. If you make purchases in foreign currency, the 1.5% cashback rate is doubled to 3%! To apply for a Standard Chartered Unlimited Cashback Credit Card, the minimum income requirement is S$30,000 for Singaporeans and Permanent Residents and S$60,000 for non-Singaporeans. There is no limit to your cashback earnings with the Standard Chartered Unlimited Cashback Credit Card. Need a card for groceries and utility bills? The HSBC Visa Platinum Credit Card might do the trick! You can get up to 5% cashback for groceries if you meet the quarterly minimum spend requirement of S$800. You can also earn 5% cashback on your monthly Singapore Power and telco bills. This card would be suitable for bigger families whose groceries spend and utility bills chalk up to a relatively significant amount. 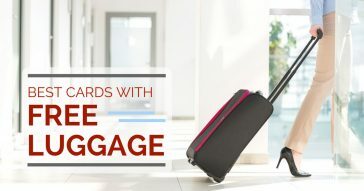 Since these expenses are definitely recurring, dedicating the HSBC Visa Platinum card to cover these expenses, which will likely hit the minimum spend required, will help you to get some cashback every month. 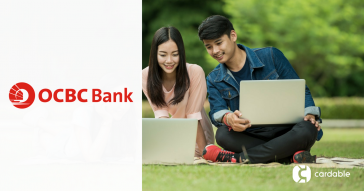 To apply for a HSBC Visa Platinum Credit Card, the minimum income requirement is S$30,000 for Singaporeans and Permanent Residents and S$40,000 for non-Singaporeans. Have your family’s groceries and utility bills covered by the HSBC Visa Platinum Credit Card to get up to 5% cashback every month! With the POSB Everyday Card, there is no expiry date on the cash rebate you earn. This is a fairly good card for parents who own a car as it allows cardholders to earn cashback on everyday essentials, groceries, healthcare and petrol. For selected merchants, the cashback earn rate goes up to 5% for essentials and 20.1% for petrol at SPC stations. The fact that the card’s cashback reward system focuses on a variety of categories – from petrol and telco discounts to grocery discounts and dining deals – makes this a great everyday cashback credit card that is suitable for almost everyone. If you prefer to have one card to consolidate your expenses for the necessities, you should give this card more consideration. 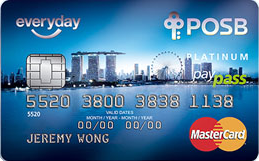 To apply for a POSB Everyday Card, the minimum income requirement is S$30,000 for Singaporeans and Permanent Residents and S$45,000 for non-Singaporeans. Never worry about your cash rebates’ expiry with the POSB Everyday Card! These six cashback credit cards in Singapore have unique features and different rewards in several categories. Like we’ve mentioned earlier, it is important to know your financial habits and spending patterns to make a more informed choice on the most effective cashback credit back for yourself. A gentle reminder to look at the terms and conditions, as well as some of the requirements that will need to be fulfilled before some of the cashback rewards are valid. It is also good financial discipline to know one’s own budget and financial health before spending just to hit a minimum requirement for the cashback reward. Remember that although you will receive a portion of your money back, you are essentially still incurring an expense. Spend wisely and ensure that you don’t accumulate credit card debts as the interest rates can be very high. Want more credit card reviews like this? Let us know in the comments section below! We welcome you to comment and discuss your experience as well. 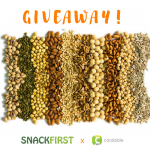 Giveaway: Win Premium Macadamias from SnackFirst!